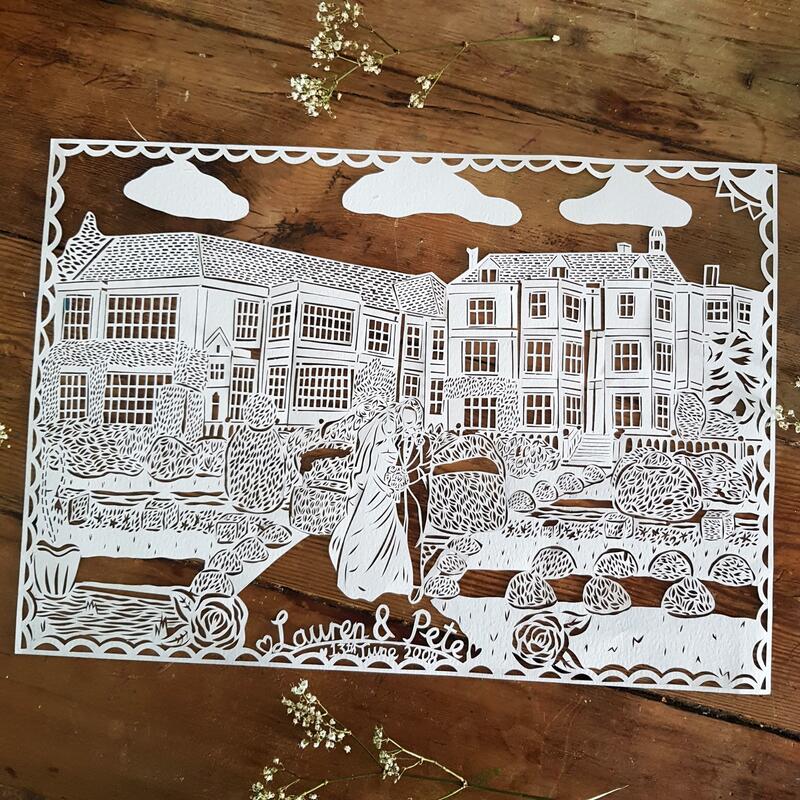 A bespoke wedding paper cut that lets me tell the story of your special day with my scalpel, the perfect gift for paper anniversaries or milestone anniversaries. 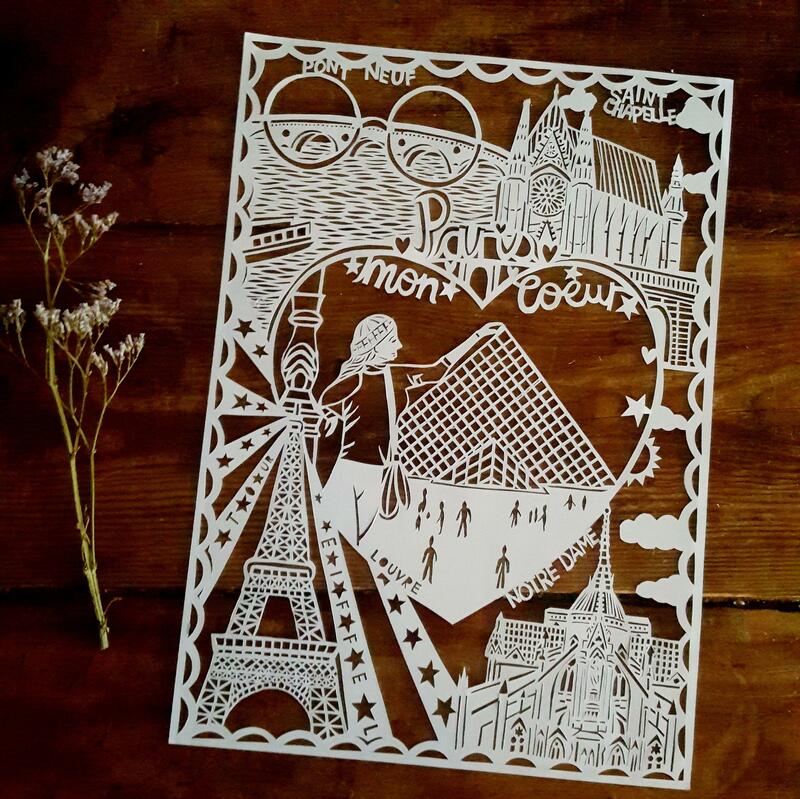 My hand drawn, hand cut personalised paper cut pieces are cut on 120 gsm white hammered paper and are truly unique to the story of your wedding day. 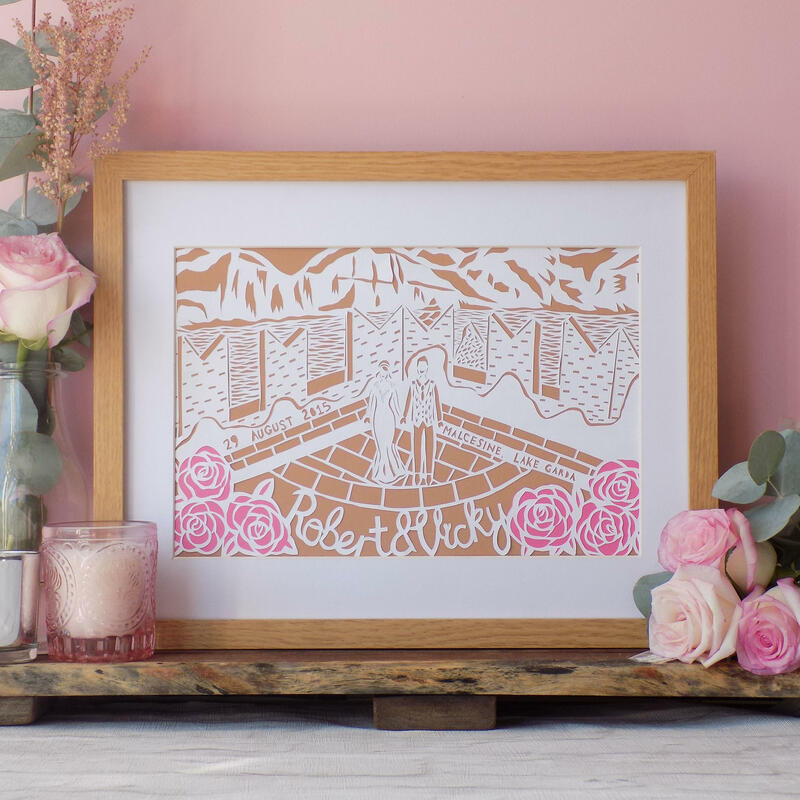 The perfect gift for a husband or wife on an anniversary, birthday or as a special momento of your nuptials. 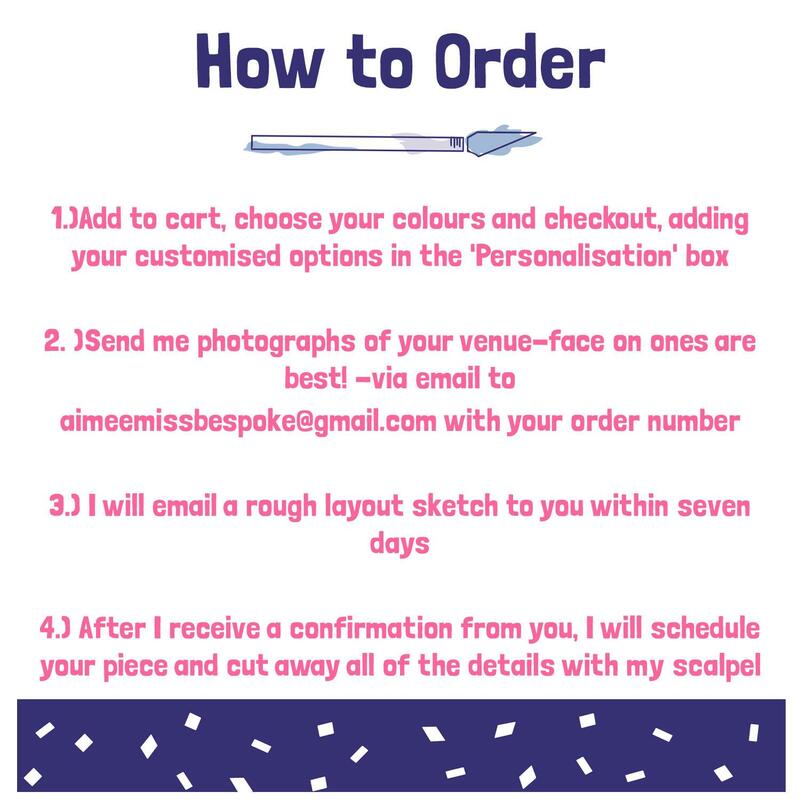 -Within seven days of your order I will produce a rough layout sketch for you and send a picture to you via ETSY conversations. This is to give you an idea of the composition only, please note I add 90 % of the detail with my scalpel. 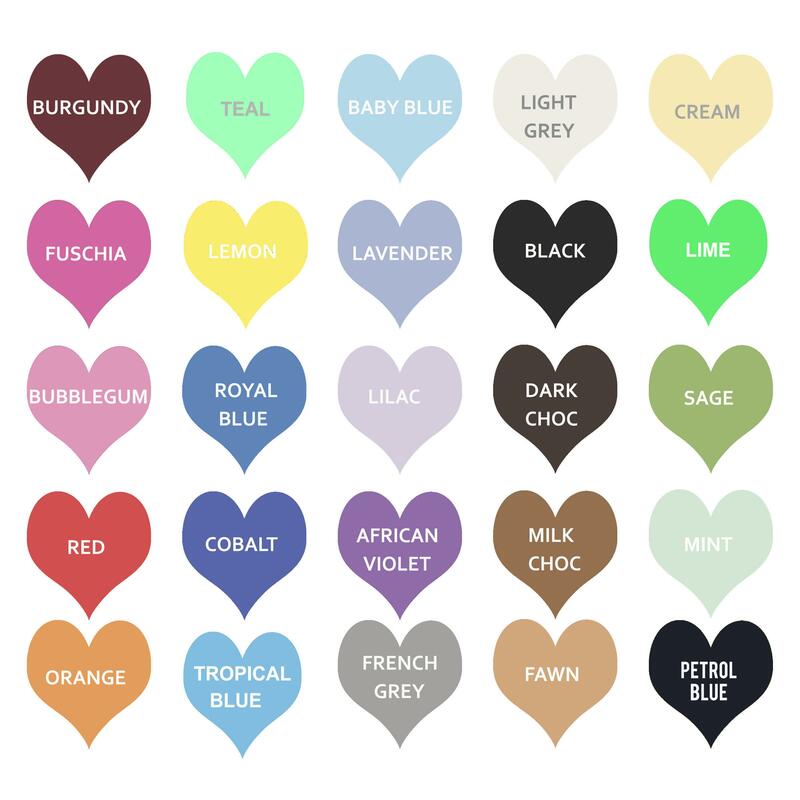 I am happy to make slight changes to initial sketches however an additional fee of £10 will be charged for any major changes to the sketch (IE completely starting over).